Finding the perfect gift for Valentine’s Day isn’t always an easy task, especially if you leave it till the last minute. 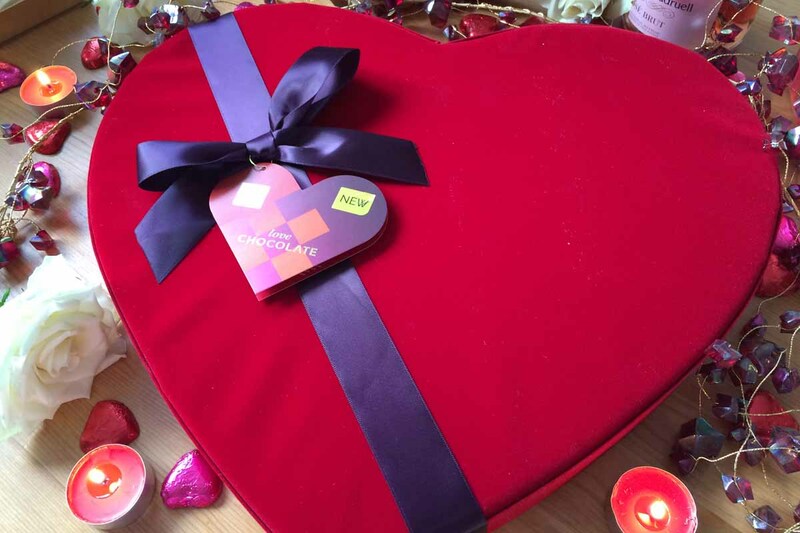 We were recently invited along by Marks & Spencer to check out their great range of Valentine’s Day gift ideas and we have to say we were impressed. Below we take a look at 6 foodie gift ideas to consider for Valentine’s Day that will cover all budgets and fit many tastes. Who doesn’t love cupcakes? 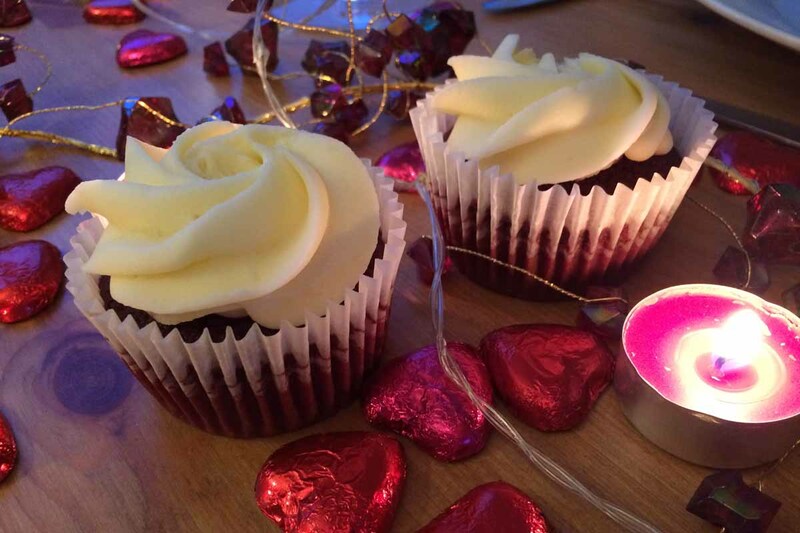 At only £2.00 this pack of cupcakes are a great wee addition to any other Valentine’s Day gift you may have got. They are beautifully moist and chocolaty thanks to the lovely caramel surprise awaiting you at the centre. The cupcakes are topped with a cream cheese rose frosting and thankfully there isn’t too much frosting as this can often be a little bit sickening on cupcakes. Your Valentine will certainly appreciate you for this little gift. Nothing says Valentine’s more than some pink fizz, and this bottle of Cava certainly hits the spot and won’t hit you in the pocket like a bottle of Champagne can, If you like a fresh and fruity bubbly then this is for you. It has delicate strawberry flavours, making it the perfect accompaniment for those chocolate covered strawberries you know you’ll be making at some point this weekend. A really tasty Cava for a great price of £8.00. A delicious range of white, milk and dark chocolates with daring flavour combinations including ‘strawberry and balsamic vinegar’ and ‘chipotle chilli and cocoa nibs’. Our favourite is the perfectly paired ‘passion fruit and caramel’ flavour. It’s smooth, tangy and buttery – perfect for sharing and something a little different when you’re looking for a box of chocolates for a gift this Valentine’s Day. Stay calm and drink prosecco! 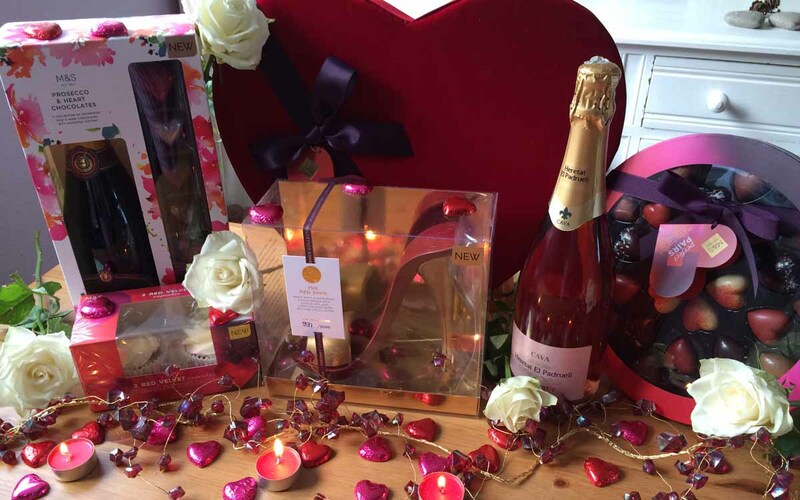 It’s hard to go wrong with prosecco and chocolates, especially if you’re buying it for the woman in your like. A selection of dark, white and milk chocolate hearts with tasty fillings including Champagne, mango, coconut milk and Valencia orange. A winning combination! Okay, so what girl doesn’t love shoes? And well, chocolate ones for that matter! 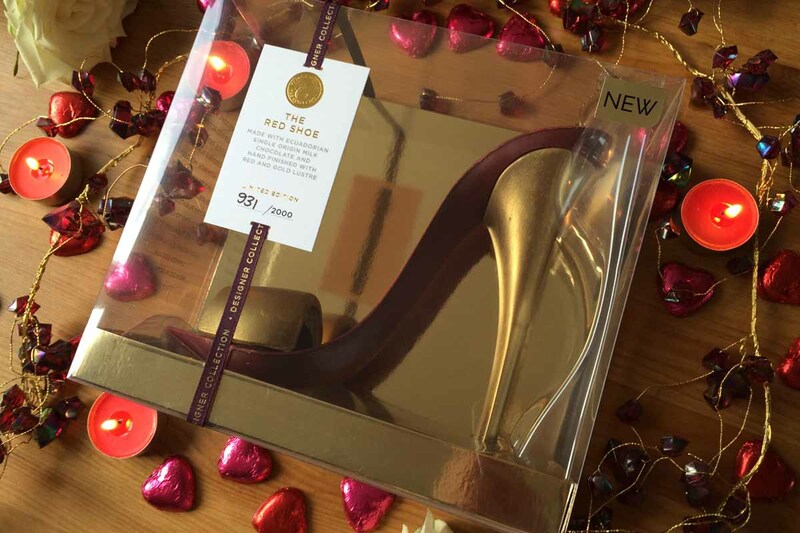 This milk chocolate stiletto shoe is made from Ecuadorian chocolate and hand finished with red and gold lustre. It’s limited edition too which makes it that little bit extra special. We absolutely love this novel idea and it comes in a dark chocolate version too. 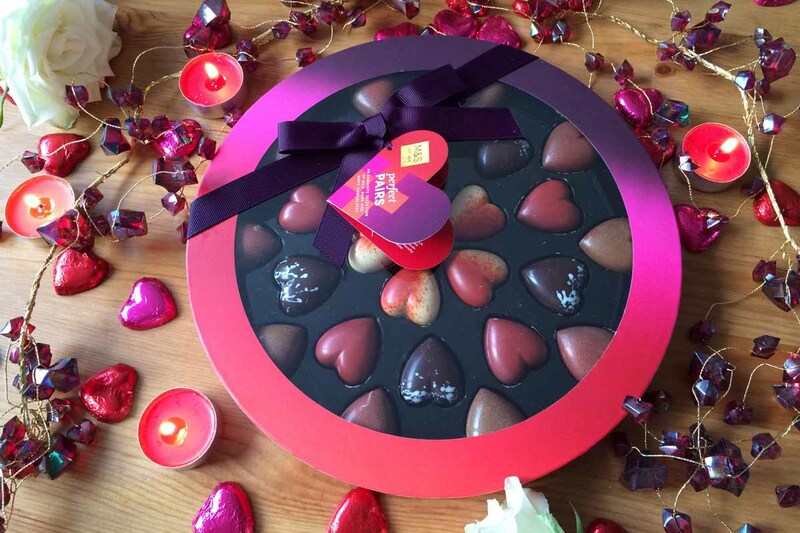 If you want a foodie gift that screams ‘Valentine’s’ then this set of stunning milk and dark chocolates in a luxury red velvet heart shaped presentation box is for you (or your loved one). There are 10 delicious flavours including ‘Caramel Coulis’, ”Marc de Champagne’ and ‘Maldon Sea Salt’. 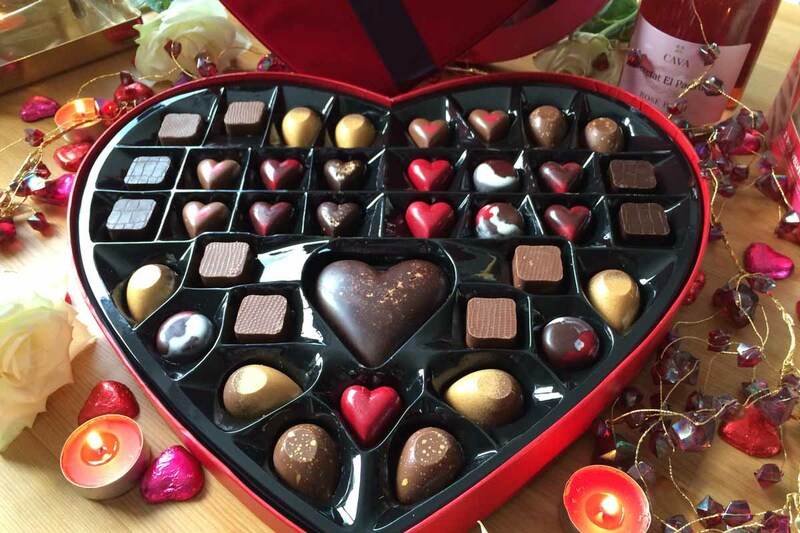 We really love this box of chocolates, while the heart box makes for a great keepsake for your loved one to store moments of you both from this Valentine’s Day and many more to come. Have you any special or romantic foodie gift ideas in mind for Valentine’s Day or any stories from years gone by to share with us? Let us know by commenting below or connecting with us on Facebook and Twitter. Disclaimer: We were invited to try some Valentine’s Day treats by M&S. The opinions in this article are that of our own.